Written by John F. Copper. Any political system can be assessed and judged by its party structure, parties being a sine qua non to the functioning of modern polities. In Taiwan’s early history, as in most places in the world, political power was too fragmented and its politics too simple for there to be a need for political parties. Under Japanese colonial rule (1895-1945), political “organizations” formed mainly to persuade Tokyo to grant Taiwan a higher degree of self-rule. But these did not grow into political parties in any real sense of that word since elections were perfunctory and controlled by the Japanese colonial authorities. Taiwan was constitutionally a democracy, though the system functioned as such mainly in form. For it to evolve into a working or real democracy, the political party system needed to change. And it did. 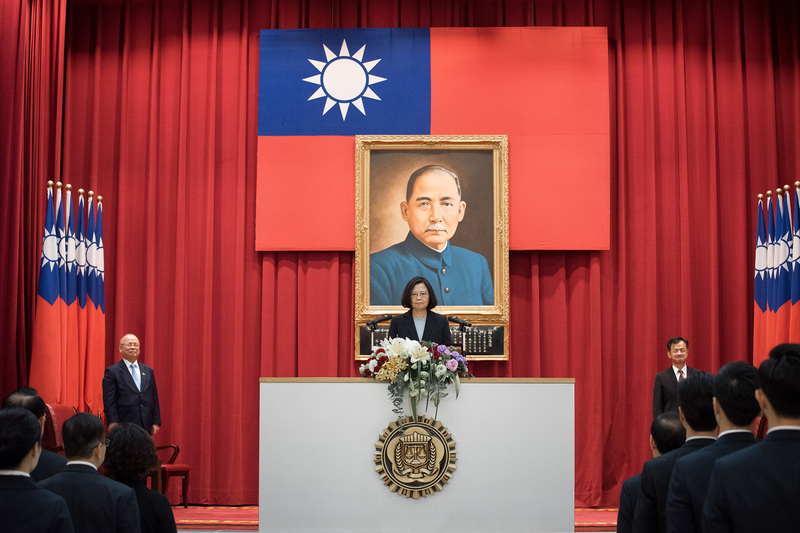 In the early 1960s, independent (of the KMT) politicians began successfully seeking office through elections, at which time Taiwan’s party system became stamped by a single, dominant a party. However, it was still illegal to form a new political party and the smaller ones mentioned above did not offer voters much choice. The DPP did not perform up to expectations. But it did in 1989. In fact, it did so well at the polls that speculation followed that Taiwan was heading back to a one-party dominant system again, but the one party would this time be the DPP. After all, democracy would advantage Taiwan’s majority ethnic group, the Fukien Taiwanese (that hailed from Fukien Province in China); they mainly supported the DPP. However, that same year the government enacted the Civic Organization Law, which legalized the formation of new political parties. A host of new political parties appeared on the scene and Taiwan officially at least had a very multiparty system. Meanwhile, President Chiang Ching-kuo passed away and his vice president, Lee Teng-hui, a Taiwanese, became president. Lee “Taiwanized” the KMT thus ending Mainland Chinese (those Chinese who moved to Taiwan after the war and especially after Chiang Kai-shek and his government fled China in 1949) control of the party and the government. In 2000, the DPP’s candidate, Chen Shui-bian, won the presidential election and the DPP once again became the favourite of Taiwan’s majority ethnic group. In the meantime, the New Party (NP) was formed by KMT members opposed to President Lee. After the 2000 election, James Soong, who had run for president as an independent when Lee denied him the KMT’s nomination even though he was far and away from Taiwan’s most popular politician, formed a new party, the People First Party (PFP). Not long after that former president Lee helped found a new party, the Taiwan Solidarity Union (TSU). At this juncture Taiwan’s party system was called a two-bloc one, with the KMT, the NP and the PFP called the blue camp and the DPP and the TSU the green camp. In 2004, the legislature changed Taiwan’s electoral system from a single vote in multi-member districts to one that advantaged the bigger parties. As a result, the KMT and DPP became the dominant parties. In 2008, the KMT’s Ma Ying-jeou won the presidential election with Chen Shui-bian and the DPP leaving on a low note because of Chen’s corruption, his alienating China and the United States with his advocacy of Taiwan independence, and his instigating the deterioration of ethnic relations in Taiwan that Chen saw as his best way to govern. For a while, Taiwan once again seemed to have a one-party (KMT) dominant system. 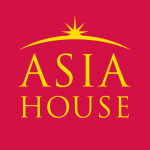 But not being able to engineer good economic growth, the Ma government’s failures to deal effectively with nature’s wrath in the form of typhoons, the rise of populism that favoured the opposition Democratic Progressive Party, and the recrudescence of local nationalism, public opinion turned sour on Ma and the KMT. In 2016, Tsai Ing-wen won the presidency and her party, the DPP, won a comfortable majority in the legislature. It was a big win indicating the pendulum had swung back the other way with a reconfigured one-party (DPP) dominant system having apparently evolved. But that was soon in doubt. President Tsai and the DPP found campaigning for office was easier than governing. They were not able to fix the economy, foster social and economic equity, fulfill promised reforms, manage smooth relations with China or stem Taiwan’s serious brain drain. Their public opinion ratings soon plummeted. As of the end of 2017, Taiwan’s political party system was still a question not answered. It appeared Taiwan’s politics was such that a frequent change of ruling parties was to be predicted—the pendulum theory. Yet Taiwan needed more stability than a party staying in office longer would provide—the watermelon theory (one eating a good watermelon would want to finish it). Likewise, it was not certain a two-party system had become entrenched. During the 2016 election campaign polls reflected the public held a dim view of political parties. Independent candidates won some offices. New parties formed. With populism having succoured the left (meaning Tsai Ing-wen and the DPP) yet it being denounced by liberals in the U.S. and Europe as the precursor of communism and fascism and a threat to democracy, Taiwan’s confused relationship with China (via independence or not), politicians during campaigns habitually promising more than they could possibly deliver, and more such factors, it is exceeding difficult to gauge Taiwan’s future political party system. John F. Copper is the Stanley J. Buckman Professor (emeritus) of International Studies at Rhodes College in Memphis, Tennessee. He is the author of more than twenty books on Taiwan, including Taiwan at a Tipping Point: The Democratic Progressive Party’s Return to Power published last month wherein he assesses Taiwan’s political party structure in depth. Image credit: CC by Office of the President of the Republic of Taiwan/Flickr. Wasn’t Taiwan always a tumultuous place, at times more so, at other times less so? Isn’t that a sign of vitality? On the other hand, an unruly society is hampered in its ability to defend itself against foreign predators. Such, the Taiwanese got subjugated by outside powers again and again. However, in spite of some unconventional features (e.g. physical fights among MPs, unsavoury collaboration of politicians with business tycoons and gang bosses), democracy worked out well enough during the last 30 years. Isn’t that an amazing feat? So, why being doubtful and pessimistic about the future of Taiwan’s party system? Political parties come and go in a vibrant, young democracy. There is much more to worry about regarding the future of America’s and of Europe’s political parties. I am not pessimistic about Taiwan’s party system. Many observers had hoped it would be finalized by now. It is not; but that is not a big worry. What worries me is that candidates for office promise things they cannot do as is the case of other democracies and this not good, especially when it results in accumulating debt.